Dubai (AFP) – On any night of the week, residents of cosmopolitan Dubai can get a taste of reclusive North Korea’s culture at Okryu-gwan, a satellite of Pyongyang’s massive national canteen. 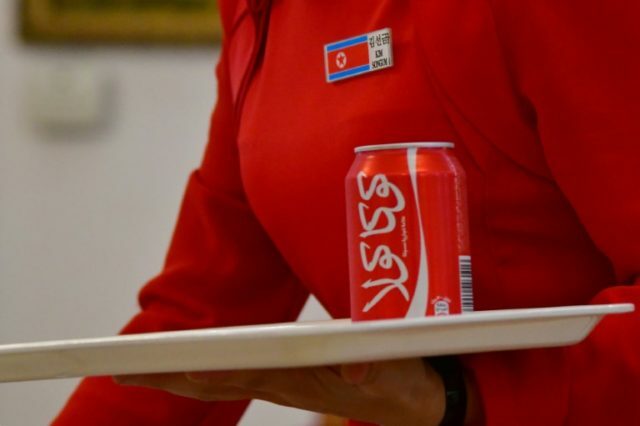 On a weekend night, a waitress, wearing a stoplight red dress and DPRK flag name tag, carried a tray full of matching red Coca-Cola cans to a table of Asian patrons. The waitress — one of thousands of North Koreans working in the Gulf with the blessing of Pyongyang — served the ubiquitous American soft drink without fanfare, while a group of regulars shuffled into a private karaoke room. 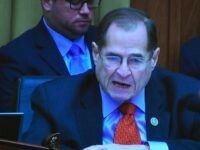 A flatscreen television tuned to a North Korean channel streamed nature scenes and military propaganda clips, but offered no hint of the escalating tensions between Washington and Pyongyang. The bellicose rhetoric between the two nations has reached new heights in recent days, following Pyongyang’s sixth nuclear test earlier this month. Days after threatening to “totally destroy North Korea” in his first address to the UN General Assembly, US President Donald Trump signed an executive order targeting foreign companies doing business with the country. But the show goes on like clockwork at Okryu-gwan, a microcosm of the hermit republic and one of three branches in the United Arab Emirates in Dubai’s bustling Deira district. The lights dimmed and from a side door three waitresses emerged in bright sequined tops to take their places behind a keyboard, a keytar and a guitar to belt out the first Korean number. It was the first of six evening performances, which included a flautist, a fan dance and a skit where two waitresses moved their limbs like marionettes, acting out a courtship between a male suitor and his darling. Other waitresses buzzed around the restaurant, one moment grilling beef bulgogi (barbeque) to be served with spicy kimchi (pickled cabbage), the next strapping on an accordion and heading to the stage. They perform the 8:00 pm show every day of the week — every single night of the year. “We makes small changes every time,” one waitress said with an enthusiastic smile, when asked if she ever became bored of the nightly routine. “We arrange the music, we choose the costumes, we do everything,” Kim Songum added. As for holidays, the waitresses say they get a month off a year. “Of course, we go home to North Korea. It’s home and it’s cheaper there. Everything is free,” Kim said, comparing it with the high cost of living in capitalist Dubai. Speaking in English with help from a translation app, she said the waitresses are aware of the latest news from North Korean television. Patrons entering Okryu-gwan cannot miss the enormous group photos of the ruler of Dubai, Sheikh Mohammed bin Rashid al-Maktoum, flanked by the entire smiling restaurant staff. The portraits are a treasured symbol of approval for the management, in a country which also enjoys close relations with rival South Korea and the United States. The North Korean culinary establishment may be a taste of home for East Asian patrons — even South Koreans, according to the waitresses — but it is also a source of contention for Washington and Seoul, both on a fresh drive to isolate Pyongyang. South Korea, which enjoys multi-billion dollar trade and investment ties with the Gulf states, has had recent success in pressing its allies to isolate its neighbour. Kuwait City, the only Gulf capital to host a North Korean embassy, this month ordered its ambassador to leave and put a charge d’affaires in his stead. Kuwait has also slashed the number of North Korean workers on its soil from 4,000 to 1,500, according to a South Korean diplomat in charge of North Korean issues in the Gulf. Qatar and Oman, which host up to 2,000 and 100 North Korean labourers respectively, are now phasing out those work permits, the UAE-based diplomat told AFP on condition of anonymity. Only the business-centric United Arab Emirates, with around 1,300 North Korean construction workers and restaurant staff, had “unfortunately” not taken any action, he said. South Korea accuses North Korean authorities of confiscating a significant portion of the income of workers in the Gulf, which the diplomat said averaged around $1,000 per month. But he acknowledged the financial contribution of an estimated 5,000 workers across the Gulf could not come close to funding a nuclear programme. He alleged that North Korean authorities use restaurants and construction companies as cover for more lucrative side businesses. But more important, the diplomat said, was the need to build a global consensus on implementing UN sanctions. “If we give an exception to the Gulf,” he said, “that is not good for the concept of international solidarity”.